Successfully Added Car Bluetooth Handsfree Speaker Mic - Football Design to your Shopping Cart. 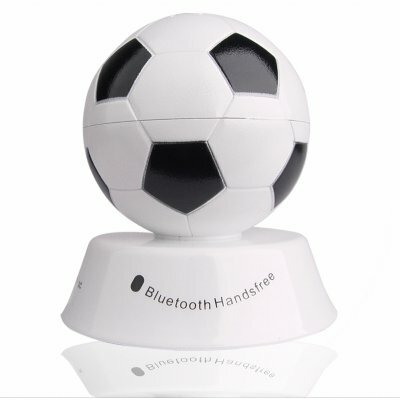 Bluetooth speaker with a built in MIC for use in a car or desktop in a novelty football shape. Really show your support for one of the world's most popular sports whenever and wherever you drive. With handsfree and headset profiles, easily pair Bluetooth enabled phones for safely making phones calls on the road. As an added bonus, with the built in rechargeable battery, listening and talk time is more than 7 hours, and even if the battery is low or out, this football Bluetooth speaker can be used as it is being recharged directly from a car. A great novelty gift item, available with no MOQ, and lower wholesale pricing the more that you order..